You see a map that contains territory of Russia. huge city Nizhniy Novgorod free download. On this map city Cheboksary free download. Displayed city Yoshkar-Ola for Garmin. On this map city Dzerzhinsk marked. You can find here city Novocheboksarsk marked. 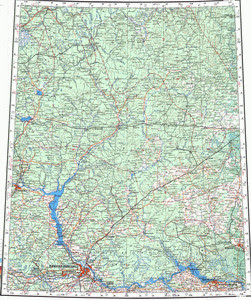 On this map city Kineshma for Garmin. On this map city Kstovo free download. Displayed city Balakhna for Garmin. You can find here city Bor download for free. Displayed city Zavolzh'ye marked. Displayed city Vyazniki marked. Displayed city Bogorodsk presented. city Gorodets download for free. city Shar'ya presented. Displayed city Semenov for Garmin. On this map city Lyskovo presented. Displayed city Koz'modem'yansk presented.